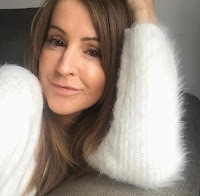 Halloween and Bonfire night have been and gone so we can well and truly talk about Christmas can't we? A few weeks back I was telling you all about festive bouquet ideas as a gift for a loved one, and now I've just got to tell you about this fabulous hamper from Prestige. 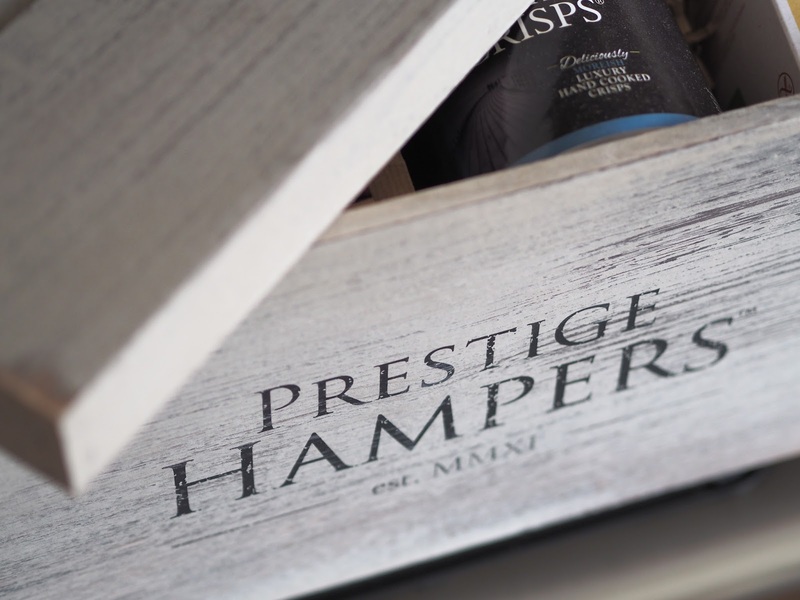 The lovely folk at Prestige said they were sending me a hamper but I had no idea which one it would be. 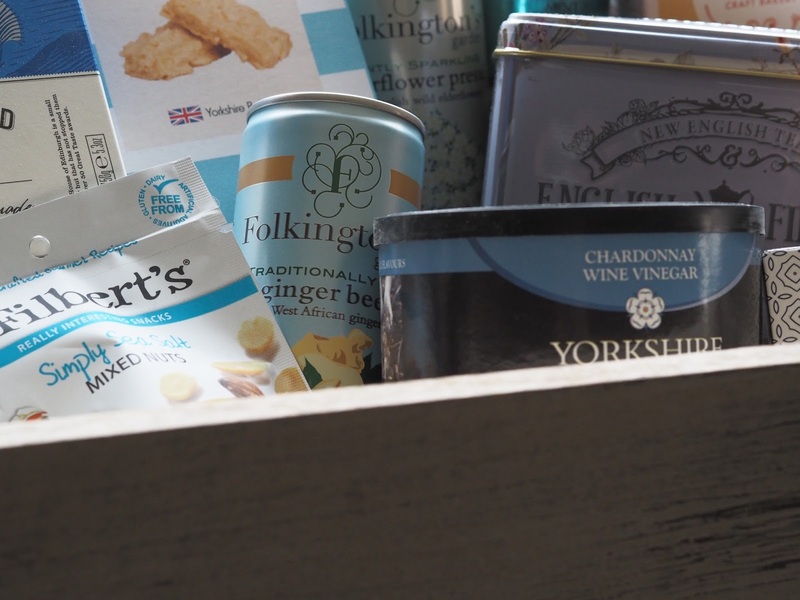 When this vintage hamper turned up packed full of treats I was delighted to say the least. This is the Christmas Sky hamper*. 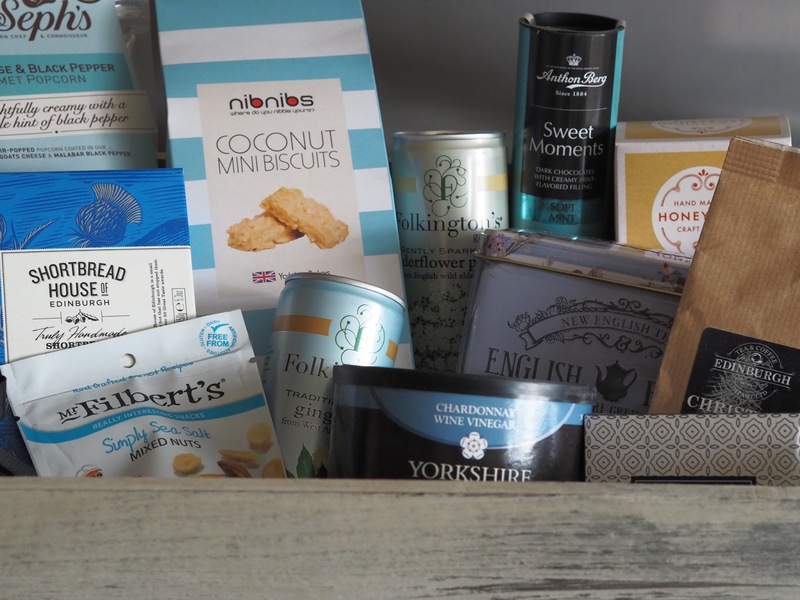 I've not received a hamper before and not knowing what's inside your box is actually really exciting, digging and delving and finding lots of treats, a food lucky dip! I love my food so this is the best kind of surprise. You can see for yourself that there's so much variety in this box. 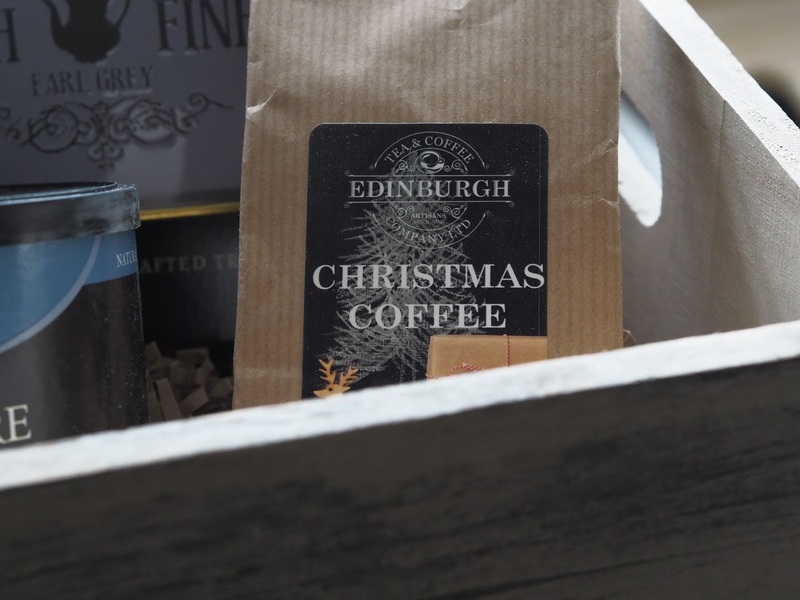 A fabulous supply of gourmet produce from fine English tea, Christmas coffee, Edinburgh shortbread, nuts, chocolates, and some beverages from Folkington's to wash down your treats. I can't wait to try the chardonnay wine vinegar crisps! This hamper is one of their alcohol free options. And let's just talk about the vintage style box for a moment shall we? As I said I didn't know what was being delivered, and when I opened it I let out a genuine squeal of excitement. Just at the box. I was thinking of ways to use it around the house before I'd even took the lid off and looked at the contents. Once we've demolished the food, I think I'll find a home for it somewhere in my living room, maybe use it to store my throws? It couldn't be any more perfect. I've never thought about ordering a hamper for anyone before but after receiving this one myself I can see that they're such a great gift idea. 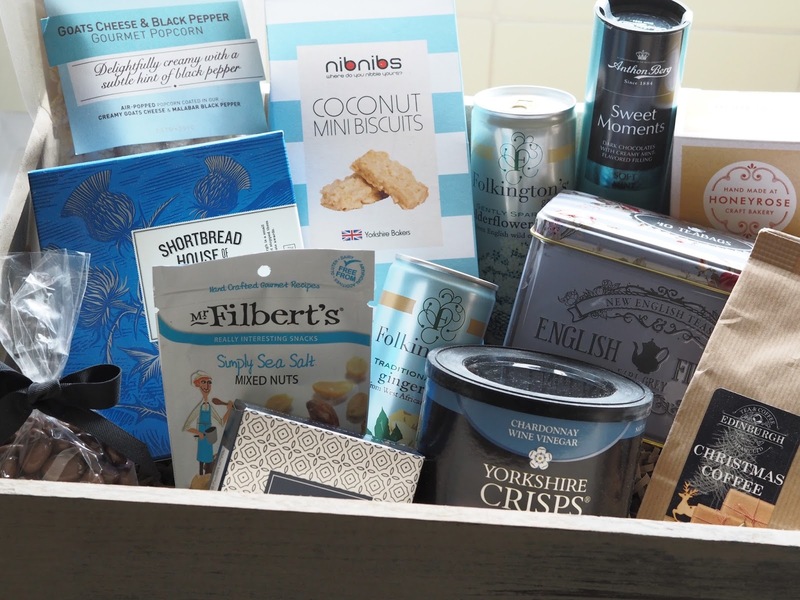 For a friend overseas, a special Aunt, or Grandad or Grandma and although the Christmas Sky box is jolly lovely there are so many other hampers for you to choose from. Big, small, alcoholic, non-alcoholic, cheese & wine hampers, chocolate hampers, sweetie hampers, and even fresh food hampers, the list goes on, there's something for everyone. I've already got my eye on this one as a present for someone. Why not go and have a look at what Prestige have for Christmas. Their website is here and they have so much on offer you'll be spoilt for choice. 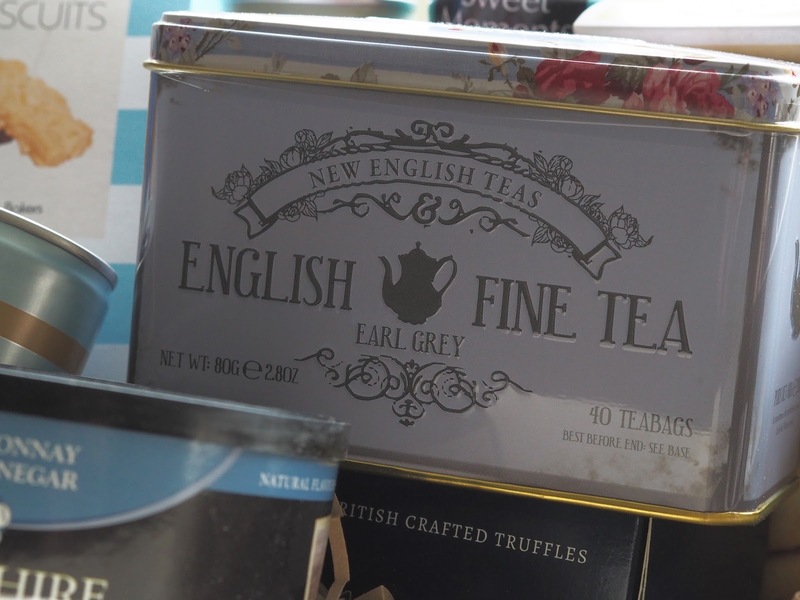 Have you sent a hamper as a gift before?